The retail real estate arena has a lot of ups and downs this year. Jones Lang LaSalle India, with 2012 coming to an end, does a wrap on the year that was and what next is expected from the retail real estate in 2013. Santhosh Kumar, CEO – Operations, Jones Lang LaSalle India talks. In 2012, the prospects for retail real estate in Delhi NCR were marred by a very little new supply and the inferior quality of the supply that did exist. Almost all the current malls in NCR are older than half a decade or more. Nevertheless, some of the prime malls continued to perform and even picked up in comparison to 2011. However, most of the existing malls performed poorly in 2012, owing to poor location, inferior mall management, lack of aggression in brand churning, etc. Quality retail space witnessed decent levels of absorption with little vacancies, while poorer quality retail space could not be absorbed. In South Delhi, the best-performing malls of 2012 were Select City Walk at Saket and DLF Promenade and DLF Emporio in Vasant Kunj. In West Delhi, Pacific Mall was the sole performer among a number of others shopping complexes. 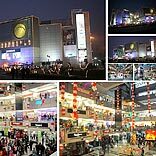 In East Delhi, Shipra Mall and Mahagun Mall showed encouraging performances. The Great India Place (GIP) continued to be the star performer in Noida, while Ambience Mall was the only centre that could distinguish itself among the huge supply of malls in Gurgaon. Most of these malls have been performing consistently well and have a lot in common that can be attributed to their success. Professional mall management: All these malls have professional and extremely efficient mall management teams that closely monitor the day-to-day operations and take crucial strategic decisions. Good brand / tenant mix: Regular churning of brands, or inclusion of leading brands and expulsion of non-performing brands, enables these malls to maintain their appeal and viability. Ownership: All these malls are developer-owned malls and not strata titled. This enables the mall owners / developers to exercise full control on mall operations and functioning and to target the best-suited brands. Revue sharing: Many of these malls have shown consideration in their rentals and have started to offer the revenue share model, which is a win-win situation for both the developer and the brand. On one hand, it increases the affordability of spaces and on the other, delivers optimal revue to the developer for performing brands. Positioning: All performing shopping centres in 2012 were able to uniquely position themselves as premium / luxury malls within catchments that cater to the affluent section of society. Their massive size and strategic locations, coupled with good connectivity and access, were also critical factors. F&B, Leisure: The food and leisure options that these malls offer were distinct differentiators, leading to consistent and increasing footfalls. Thanks to these factors, none of the mentioned malls saw any vacancy at all in 2012; and, in fact, have a long queue of brands lined up for entry. Without actually naming them, most of the malls in West Delhi, North Delhi, Gurgaon and Noida performed badly in 2012, with marginal or no improvement in absorption levels. Some of these malls are strata titled properties in which the developers have sold the units to investors whose decisions are governed solely by capital gain, with no regard to what works best for the mall. This resulted in very minimal decision powers of developers. These malls had a poor tenant mix, with no brand churn. Most of these malls are not professionally managed. Malls in North and West Delhi, and also some in Gurgaon, could not perform due to oversupply, poor quality, lack of strategic location and no USPs with which to position themselves. No significant quality retail supply is likely to hit the market in 2013. Though Mall of India and Gardens Galleria are scheduled for launch in the late quarters of 2013, there is every possibility that their launch will actually slip into 2014. Select City, DLF Emporia and Promenade and Ambience Mall will continue to lead the bandwagon and exhibit the best footfalls and sales figure in 2013. Most of the malls in Noida and East and North Delhi and to some extent West Delhi will continue to languish under high vacancy, though the vacancy levels may reduce from current levels due to the lack of new supply.